Installing a metal fence from Deerbusters is the best deer control solution for homeowners dealing with chewing and digging animals in and around the garden. Steel fence for wildlife exclusion will help reduce the amount of damage caused by chewing and digging animals. 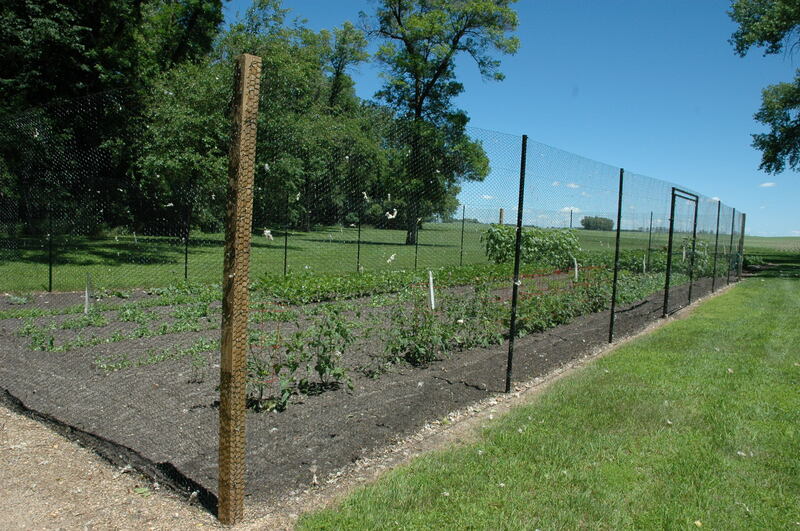 Not only are metal fences from Deerbusters virtually invisible, but they are strong enough to stop deer, rabbits, groundhogs and other small garden critters from feasting on fruit and veggie gardens. Deerbusters offers three types of steel deer fence for sale: our bestselling metal deer fence, the Steel Hex Web, Welded Wire (a decorative fence that may be used as a fence around swimming pools) and Solid Lock Fixed Knot (the strongest metal fence on the market). In addition to our fence material for sale, Deerbusters.com carries fence parts and accessories to easily construct and finalize the DIY fence project and create a strong deer and rodent barrier. Deerbusters.com Metal fencing lasts over 20 years in the field. Find the steel deer fence and fence parts that work best with your yard and budget.